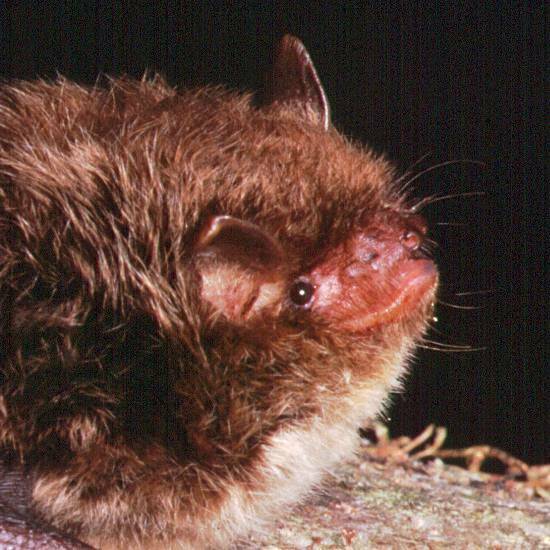 Daubenton's Bat is quite common in Britain. It is a medium-sized species with short, more or less upright rounded ears and a rather blunt, hairy face with bare patches around the eyes. The head-and-body length is typically 45 mm to 55mm, and adult usually weigh between 7 and 11gm. 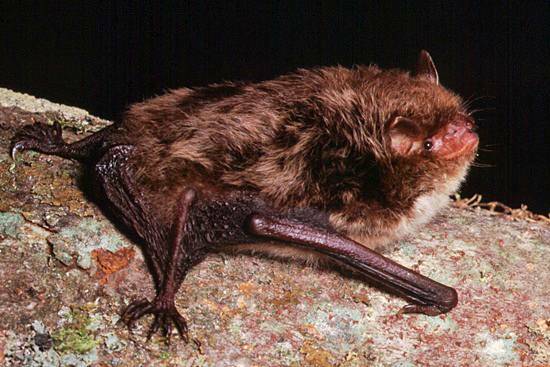 Longevity is a characteristic of Daubenton's Bats, which can live for more than 20 years. This is a bat you are quite likely to see around the rivers, canals and lakes of Wales - in fact it is still sometimes referred to as the 'water bat'. In flight, Daubenton's Bats often skim the surface of water at a height of just a few centimetres and they feed on such insects as chironomid midges, upwinged flies and even small sedge flies - sometimes actually scooping them off the surface. Daubenton's Bats often have their summer roosts in hollow trees, tunnels or caves, but they do sometimes choose to roost in buildings, and more particularly in old stone-built houses. Breeding colonies of 20 to 50 are common, but maternity colonies as large as 200 have been recorded. A single offspring is born at the end of June or in early July, and it is weaned after about six or seven weeks. For their winter roosts Daubenton's Bats often use underground sites, although some may hibernate inside hollow trees; they generally stay in their winter roosts until the end of March or the beginning of April.